I went up to Penang last weekend as I was hoping to get some better shots of Bon odori (I didn’t, more on that in my next entry about it) as well as check up on my apartment. Also there was a model shoot I was invited to. I’ll post more photos of that later as well. Though I have to admit it was a fun although tiring weekend. 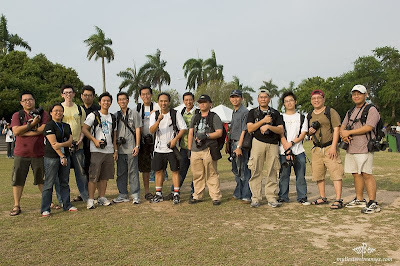 I managed to meet up with the Fotokrazy group as well as the RojakStudio group. Also thanks goes to myBest for the group pic! This entry was posted in event, life, penang. Bookmark the permalink.